If you have been following our work you will know that “Something unique happened in Minnesota this year.” This month the Interdisciplinary Journal for Partnership Studies (IJPS) published “A Blueprint for Collaborative Lawmaking” by Miki Kashtan about the system she used to bring people together in that dispute in the Minnesota legislature. It contains more vignettes of how the process worked, that are not in our case study. 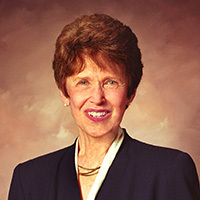 The Interdisciplinary Journal for Partnership Studies is “dedicated to sharing new knowledge and successful applications of Riane Eisler’s partnership paradigm: a new perspective on human possibilities increasingly utilized, explored, and expanded by others.” Miki has studied with Riane Eisler and anyone interested in Miki’s work can find a great deal to ponder in Eisler’s. She is well known for her books The Chalice and The Blade: Our History, Our Future and The Real Wealth of Nations: Creating a Caring Economics, and for her creation of the Center for Partnership Studies. For years, I participated in the prevailing myth that the only path to meaningful social change is large-scale transformation in individual consciousness. Collaborative lawmaking, for example, would require a critical mass of people who embrace a partnership paradigm, out of which pool, presumably, a new generation of politicians would create a collaborative governance system. More generally, this myth suggests that once enough people embrace a different orientation to life – more collaborative, honest, empathic, or whatever the longing is – the systems and structures will follow, naturally and easily. Then I became hopeless, because I couldn’t see large-scale individual change happening, and I didn’t see how systemic change could ever happen without it. How could we ever bring about a partnership social order without everyone first shifting her or his internal orientation? Experience has changed my thinking. Most recently, working as a facilitator with lawmakers, executives, activists, and many other passionate people, I saw firsthand that when people join together in solving a practical problem, and engage in a collaborative process that is strong enough to contain their differences and compost their mistrust, the results can go beyond what most of us imagine possible. In this article, I share that success story. In addition to inspiring and nurturing faith in the reliability of collaboration for the benefit of all, true to the vision of the partnership paradigm, I hope to engage people in thinking about the concrete conditions that can lead collaborative lawmaking and decision-making to become the norm.